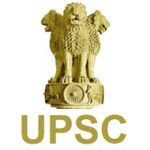 UPSC Advertisement No 22/2017 – Apply Online for 04 Various Posts:- Union Public Service Commission (UPSC) has issued notification for the recruitment of 04 Research Officer, Deputy Director (Medical) & other posts. Interested & eligible candidates can apply online through official website of UPSC. Last date for submission of online application is 14/12/2017. For Research Officer (Language)/Linguist : Masterâ€™s Degree in Linguistics from a recognized University. For Deputy Director (Medical) : A recognized Medical qualification included in the First or the Second Schedule or Part -II of the Third Schedule (other than the licentiate qualifications) to the Indian Medical Council Act, 1956 (102 of 1956). Holders of educational qualifications included in Part -II of the Third Schedule should fulfill the conditions stipulated in Section 13 (3) of the said Act. (ii) Five Yearsâ€™ Professional experience including three yearsâ€™ experience in the field of occupational health preferably in factories or mines. For Research Officer/Planning Officer : Master’s Degree in Economics or Statistics or Mathematics or Psychology or Commerce or Education of a recognized university or Equivalent. For Deputy Director-(ER) :Mastersâ€™ degree in Political Science/History/Sociology Public Administration/ Geography/ Economics from a recognized University. Last Date of Online Application : 14/12/2017. Last Date for Printing of Completely Submitted Online Application: 15/12/2017. How to Apply: Interested & Eligible Candidates can apply online through http://www.upsconline.nic.in. Last date for submission of online application is 14/12/2017.